Many jazz guitar legends call Johnny Smith “the Master,” the most revered guitarist on the New York jazz scene during a golden era. Born in Alabama and raised in Maine, Smith picked up the guitar as a child and started to play professionally at 13. He learned trumpet and to read music in an Army Air Corps band during World War II. 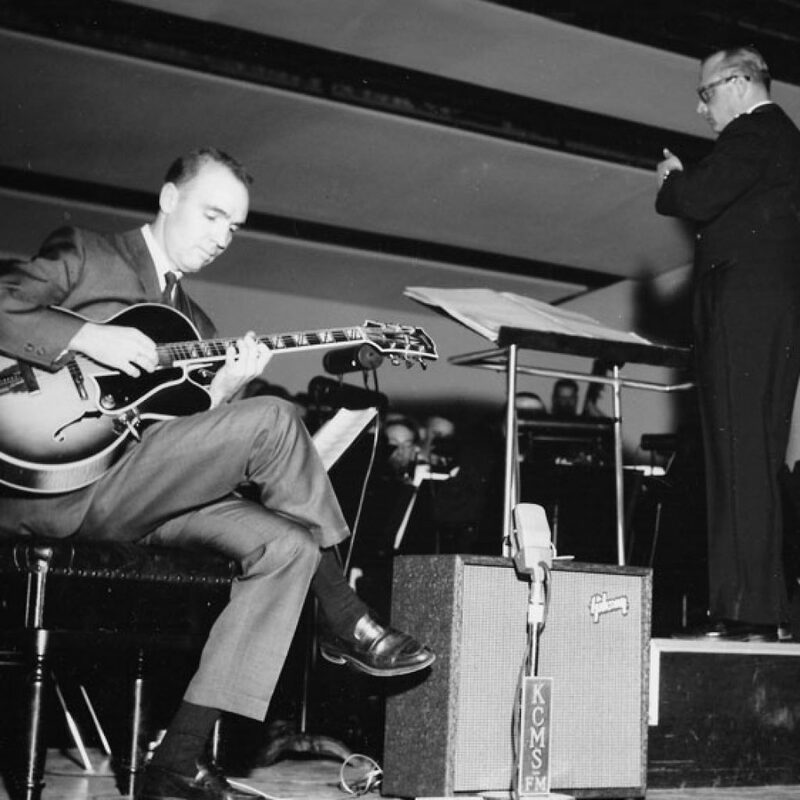 After the war, he landed a job as a guitarist in the orchestra of the NBC radio affiliate in Portland, Maine, then arrived in New York in the late 1940s to play in the NBC Symphony Orchestra. Smith’s first love was jazz, and during the 1950s he set new standards in plectrum jazz guitar playing. The quality of his tone and flawless technique made him one of New York’s busiest session musicians as well as a fixture at Manhattan’s legendary Birdland, performing opposite Count Basie, Dizzy Gillespie, Miles Davis, George Shearing and many others. Smith’s landmark rendition of “Moonlight in Vermont,” recorded in 1952 with a group that included Stan Getz on tenor saxophone, was one of the best-selling jazz records of all time. The Ventures had a Top 10 hit with their instrumental rock ‘n’ roll version of “Walk Don’t Run,” which Smith wrote in 1954. 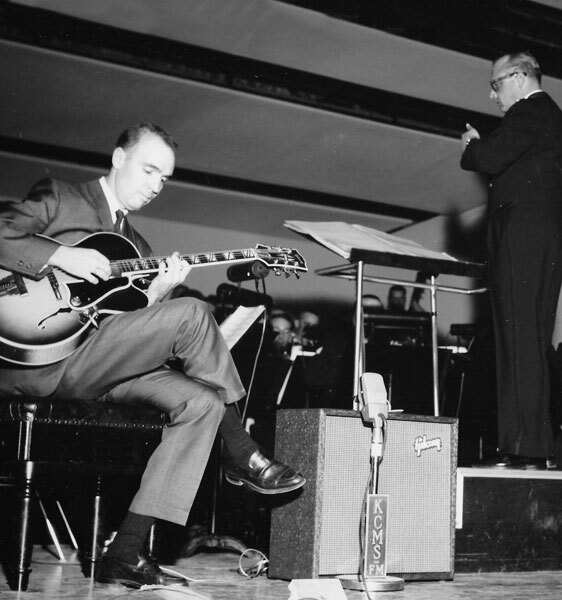 Smith stepped away from the limelight in 1958 to move to Colorado Springs, become a full-time parent and open a music store and teaching center, Johnny Smith Music, Inc., that became a mecca for advanced jazz guitarists across America. He continued to record and occasionally performed on the local nightclub circuit around Denver. He lived out his years in Colorado Springs, where he died at his home in 2003 at age 90.